bar 16-23: Violin 1-8: arco; from bar 24 pizz. again. bar 28-35: Viola, Violoncello, Double Bass: arco; from bar 38 pizz. again. In 7 movements, an attempt is made to convert the title into musical structures. Mvt. 1) Adagio: a gradually constructed 12-part chord, heard again at the end of the movement a third higher, is the frame in which layers of sound are restructured within the narrowest of spaces. Mvt. 2) Allegro ma non troppo: a G major chord (in second inversion) is present throughout this somewhat burlesque movement and is commented on rhythmically and harmonically by extraneous sounds and clouding. Mvt. 3) Sostenuto: a "symphonic" gesture undergoes a short development, but loses its way more and more in the course of the movement. Mvt. 4) Tempo di Tango: rhythmical pizzicati and percussive effects are interrupted twice by lively tango episodes and are led to a surprising ending. Mvt. 5) In the Passacaglia is the most obvious realisation of the title: endless variations over a constant series of notes. Mvt. 6) Chorale: different rhythmical transparencies run alongside each other; at the same time, a chorale-like gesture is heard five times. Mvt. 7) Presto: a restless, chromatic 4-note series dominates the final movement, interrupted twice by a lyrical insertion. 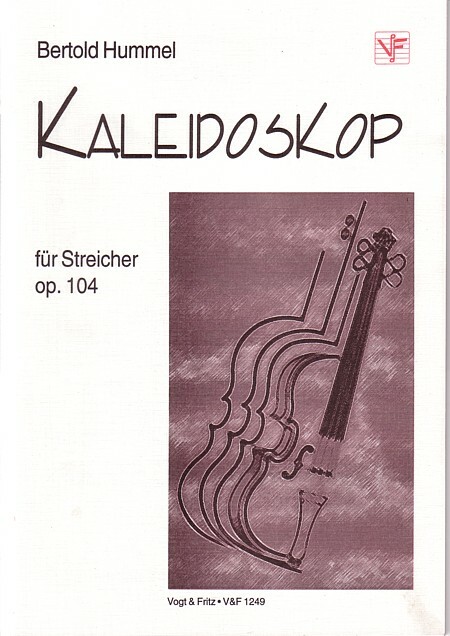 The work was a commission by the Kammerorchester (Chamber Orchestra) Schloss Werneck in 1999.